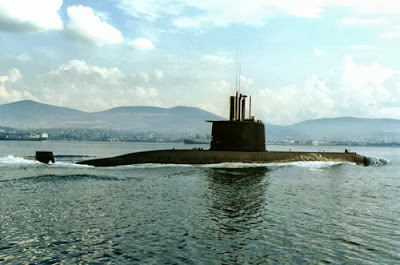 MANILA, Philippines - A ranking military official presented plans on the acquisition of three submarines to boost the country's maritime defense. Northern Luzon Command head Major Gen. Gregorio Pio Catapang said on Monday in a state news report that the Philippine Navy needs the stealth warships to monitor the Philippines' coastal territories. Catapang said this amid the Chinese's presence in Philippine-claimed areas in the West Philippine Sea--a case elevated to a maritime arbitral tribunal at the Netherlands. The official said the military plans to purchase the conventional-powered or diesel-electric submarines, which are generally cheaper than nuclear-powered units. Also being eyed is the acquisition of six frigates for anti-air warfare, 12 corvettes for anti-submarine warfare, 18 offshore patrol vessels and three anti-mine warfare ships. However, the paper presented by Catapang did not specify on how long and how much it will cost the Philippines to complete this acquisitions. A brand new diesel-powered submarine unit costs $200 million to $500 million, while nuclear-run types are a hefty $2 billion each.